By far the most defining characteristic of Montreal is the architecture and street scenes of this charming city. Surprisingly the traditional French vibes are mixed with a more modern and contemporary style. 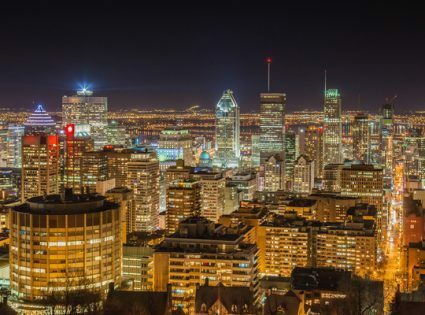 From the streets and structures around the city, photos can only elevate your discovery of some of the hidden gems that the city of Montreal has to offer. 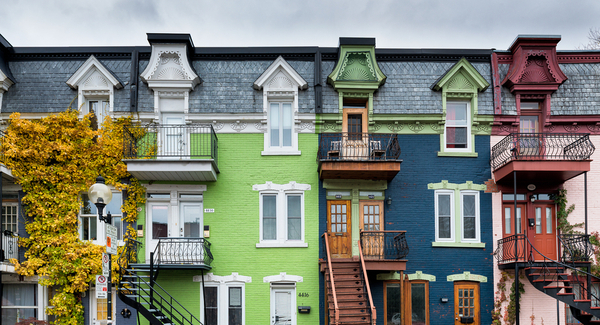 Here we explore our Globetrooper photo guide to Montreal’s best street scenes. The Plateau-Mont-Royal in Montreal, QC. As of October 30, 2016, It is the most densely populated borough in Canada, with 101,054 people living in an 8.1 square kilometer area. The street where everything happens, Rue Mont-Royal. It runs through the heart of the funky Le Plateau district and becomes adorned with markets, stalls and street art whenever there’s something worth celebrating (seemingly every few days). Today, Rue Mont Royal was the scene of a Maintenant l’indépendance du Québec rally (the movement to maintain Quebec’s independence from Canada). Then what seemed like moments later, police cordoned off the street for hundreds of skateboards to ride past. It’s just such full of life; we’re lucky our temp residence is just around the corner. Street art Montreal bunny driver on Sept 2, 2014, in Montreal Canada. 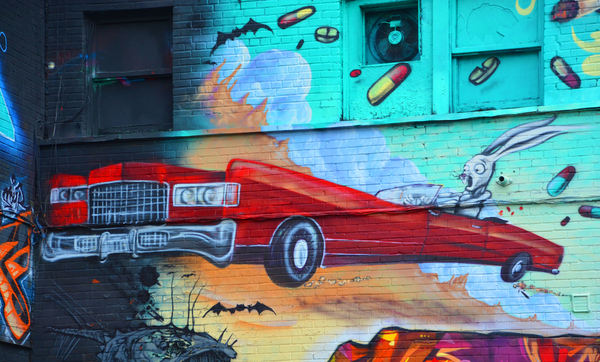 Montreal is the perfect place to walk in the back alleys and abandoned areas, looking for street art. Here’s one of many painted buildings in downtown Montreal. If you look closely, you can see a guy who’s fallen through the ice, waving vigorously for help (come on, where’s your imagination?). And here’s another one (painted building, not drowning guy); though arguably more appreciated by residents during Montreal’s frigid winter. Shared bikes are lined up in the streets of Montreal, Quebec. 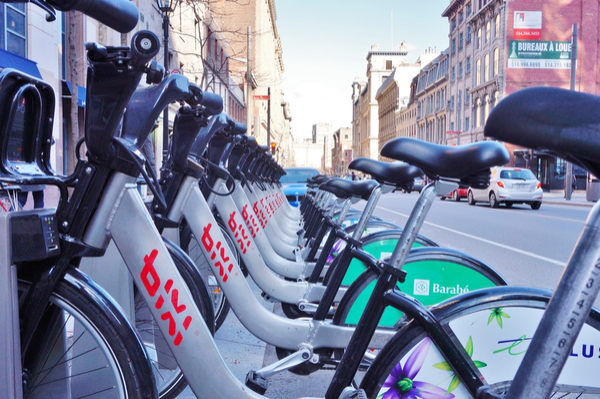 BIXI Montreal, launched in May 2009, has over 400 stations and 5000 bikes. The city of Montreal recently launched an ingenious bike system. You pay a nominal registration fee and can ride the ubiquitous bikes between stations across the city. Bixi has received a lot of criticism for its pricing, but it’s important to note it’s designed for short trips. You don’t have to return the bike to the same Bixi station; rather it’s designed as A to B transport. 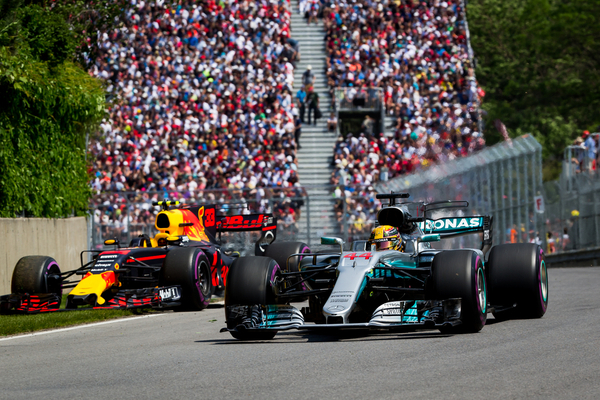 Unfortunately, this picture doesn’t include sound, so you’ll just have to visit in 2011 to witness the raw unadulterated power that’s unleashed annually on the otherwise serene Île Notre-Dame (Notre-Dame Island). And, I almost forgot… there are squirrels are everywhere!